"Okonkwo's return to his native land was not as memorable as he had wished...Umuofia did not appear to have taken any special notice of the warrior's return. And it was the wrong year too." On April 6th, after a mere 19 hours on airplanes, 5 hours in airports, 1 hour in a taxi and 6 hours on a hot crowded bus, I arrived home. Zac met me at the side of the road where the bus deposited me, and we walked the remaining kilometer to Ekulo under the clear moon-lit sky. And just like that, I was back. It was as if the 3 months in America never happened. The next morning, I greeted all the teachers in the staff room, then I went to visit my learners. As I walked past the windows to 12B, the whole class erupted in screams and I was mauled by the learners before I could even make it to the door. When I disappeared for two weeks back in November, I was greeted with many handshakes. After an absence of 3 months, I had been promoted to hug status. It was good to be back. Unfortunately, I came back just as exam season was beginning. Since it is the end of the 1st term, the learners are all writing exams and there are no classes being held. So I have to wait until the end of May to begin teaching again. 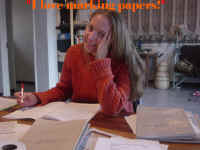 Right now I am just marking the grade 12 English exams and administering the oral exams. I decided to tell the principal that I wasn't actually with Peace Corps anymore and that I was now a pro-bono freelance English teacher. He had no problem with it, other than numerous complaints against The Peace Corps for not letting me back in. He wanted to call The Peace Corps and complain, and then contact the inspector, but I talked him out of it. 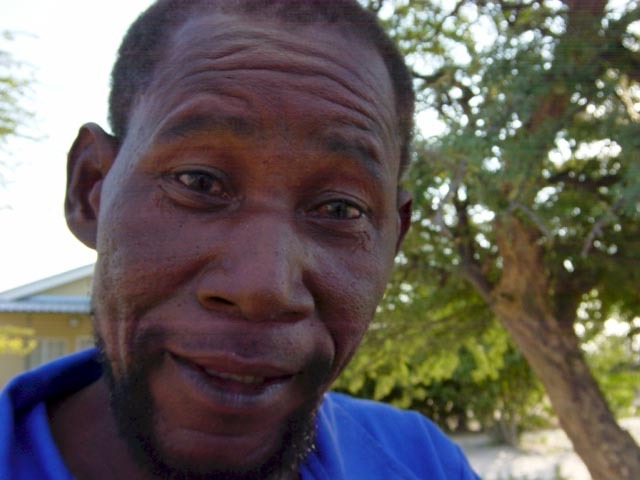 He then wanted to try and get the Namibian Ministry to pay me, but that actually causes more problems because I would have to apply for a work permit, which would take 6 months and clearly isn't worth it. At any rate, I guess I can feel appreciated. And although it seemed like I was never gone, it was clear that time had elapsed and things had changed. The small trees we planted in the yard had trebled in size during the rainy season. The baby pterodactyls had grown into fully-fledged hens and roosters. The papaya tree had developed several new branches and was quite buxom with fruit. The Palaver Club had morphed into the "Knowledge Quencher Club" initiated by two of my learners. The HIV/AIDS club membership had decimated. Eleven Linux computers had finally appeared in the computer lab to replace the typewriters. My classroom had remained largely intact, minus all the desks and chairs. 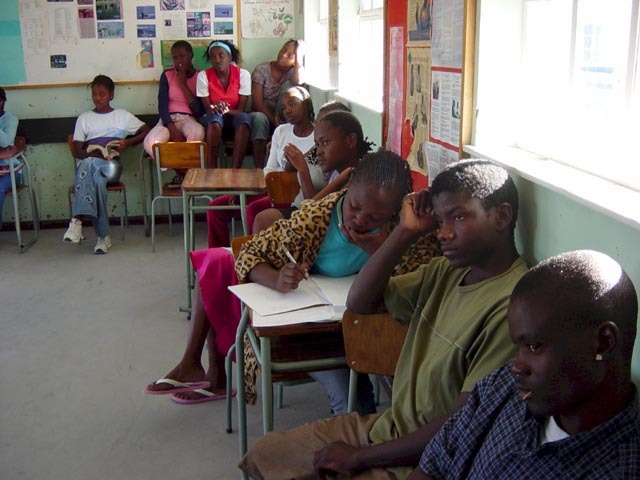 The learners had not changed a bit, although presumably they are all three months older and wiser. I wasn't sure if I had become too spoiled during my time in the States or not. I was awakened to the reality of being in Africa again on that first morning, when the roosters, perhaps a little over exuberant about welcoming my first Namibian daybreak, started cockadoodling incessantly at 3:30 a.m. Zac, being a virtual native, seemed not to be bothered by it. I was ready to eat scrambled rooster for breakfast. I consulted with some of my learners about perhaps killing and eating the above-mentioned offenders that roost in the bush right outside our bedroom window. Sakeus defended the roosters saying, "The rooster is important. It is the clock." "Yes," I countered, "but I already have a clock, and it doesn't make noise at 3:30am, and I don't want to know what time it is then. I would rather be asleep." He conceded, "Ok, we can kill the rooster." Later, Sakeus found me and counseled, "Miss, you should not kill the roosters now. Kill them when your parents come and we can make a party." I've been back a week and half now, and either the roosters are sleeping longer or I am sleeping deeper, but I don't notice them until about 5:30 a.m. now. So, other than the roosters and the plague of flies (which I will never get used to), it has been quite easy to slide back into my life here. I brought back a used copy of Chinua Achebe's novel, No Longer At Ease, as the sequel to Things Fall Apart, that we read in class. I gave it to John to read, and he flipped open the cover and saw the $1.50 price written inside. He quickly converted it to Namibian dollars (about N$9) and exclaimed, "Ah, Miss, here this small book would cost N$70! So! knowledge is very cheap in America?! You are very lucky." Perhaps the best greeting I received was from the Ekulo security guard: "Hello meme! So-o, you're alive!" They tend to confuse the "l"s and "r"s here, so he probably meant to say, "you're arrived." But to me, it is the same. Yes, I am alive in Namibia and I am happy.